With DPD Local online, sending a parcel to Russia needn’t be daunting. 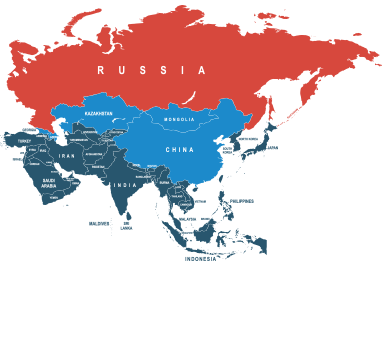 Almost twice the size of the US, Russia is the biggest country in the world but, thanks to our extensive experience of international delivery, we’ll make getting your parcel to Russia as easy as possible. With more borders than any other country, it can really help to have a trusted parcel courier to help you plan the logistics of your postage to Russia. And, with our extensive overseas courier delivery network, we can get your parcel to Russia for the very best prices without sacrificing any quality of service. As one of the world’s premium courier delivery companies, whether you’re sending a parcel to Moscow or somewhere more remote, you can be certain that we’ll get your parcel to its destination on time. With express and economy parcel courier services at your fingertips, choose to send your parcel to Russia with DPD Local Online today.